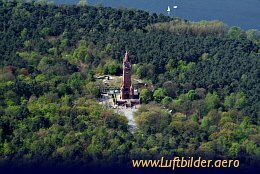 The Grunewald Tower is a look-out in Berlins Grunewald, located on the Karlsberg hill. From the viewing platform the visitors have a nice overview over the Grunewald forest and the river Havel. 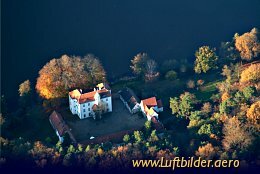 Close to Grunewaldsee is the Hunting Lodge Grunewald. The Renaissance building was built in 1542. Caspar Theiss built it for Elector Joachim II of Brandenburg. The ''Pfaueninsel'' (Peacocks Island) was bought by Frederik Wilhelm II in 1793. He initiated a menagery and a zoo there. 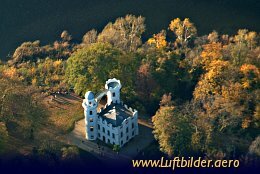 At the end of the 18th century he placed the order for a castle for Countess Lichtenau at this place.